No Joke: Get a 50% casino bonus on your deposit, up to $100 bonus! Offer good today only. 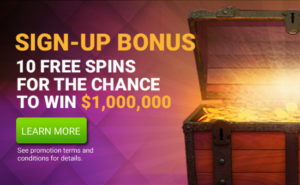 Deposit at least $25 with code FLASH50 to receive a 50% match up to $100 casino bonus on April 1st, 2019. Maximum casino bonus match is $100. 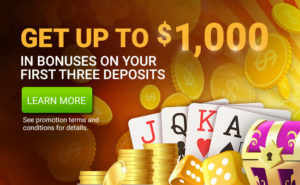 A deposit over $200 will be matched with a $100 casino bonus. The deposit and casino bonus both carry a 30X play through requirement and expires in 15 days. The deposit code can only be used once per player. The promotion is valid on April 1st, 2019. CanPlay Casino players who make a deposit using promo code FLASH50 will receive a 50% Match up to $100 Bonus. Minimum deposit amount is $25. The Match Deposit Bonus has a 30x play through requirement on both the deposit and the deposit bonus and expires 15 days from issuance. Player can forfeit the bonus at any time while it is Active in the account. 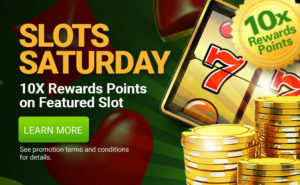 Any restricted bonus amount and winnings will be forfeited and removed from the account. The amount of restricted deposit remaining will be released from the wagering restrictions and added back to the unrestricted account balance. Employees of CanPlay Casino and their respective subsidiaries, affiliates, agents and promotion companies and advertising agencies involved in this promotion are not eligible to participate. By entering, all participants and/or entrants release CanPlay Casino and its shareholders from and against all claims and damages arising in connection with each player’s participation and/or entry in this promotion and/or their receipt or use of any prize awarded in this promotion.